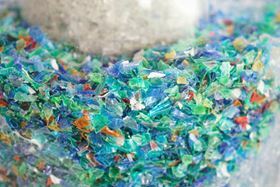 "These materials, during production, processing, and after use, break down into and release microfibers that can now be found in everything and everyone,"
We live in the plastic age, but that has come at a significant environmental price it seems. Now, a materials scientist at Pennsylvania State University is suggesting that we must urgently switch to biosynthetic fiber for textiles to cut the amount of microscopic nylon and other polymers entering the waste-stream and our oceans. Melik Demirel an expert in biomimetic materials explains that the problem of microplastics from synthetic fibers is now ubiquitous: "These materials, during production, processing, and after use, break down into and release microfibers that can now be found in everything and everyone," he explains. The synthetic fibers we currently use are, of course, mainly petroleum-based products and are not biodegradable unlike wool, cotton, linen, and silk, which were the textile industry's only options in the past. While floating "islands" of waste plastic products are a common feature of environmental campaigns, it is the tiny fibers and particles that are a more insidious problem. These so-called microplastics readily enter the food chain as they are consumed by sea creatures and those creatures are then eaten by animals further up the chain, including ourselves. Demirel suggests that there are four possible approaches to solving the problem of microplastic waste. Speaking at the 2019 annual meeting of the American Association for the Advancement of Science in Washington, DC, he suggests that we ought to to minimize the use of synthetic fibers and switch back to natural fibers. Of course, synthetic fibers are less expensive but they come with environmental costs of their own, such as water and land-use issues. Much of the microfiber load that ends up in water is due to laundering and so a second thread to addressing the microplastic problem might be to add filters to our washing machines that can trap the particles. Indeed, "Capturing the microplastics at the source is the best filtering option," Demirel says. He also points out that bacteria that can digest synthetic polymers do exist, but are confined to the experimental laboratory. With demand, such microbes could be brought to the industrial level for large-scale biodegradation and biomrediation programs to break down fibers. The waste product from such a program could become a useful feedstock for further processing into new products. These three options do not address the problem of the millions of tons of synthetic fibers that are used in clothing and other textiles around the world. The most pressing matter is to substitute the synthetic materials for biosynthetic and blended alternatives that do not break down into immutable microplastics but ultimately rot and so do not accumulate nor enter the food chain. DMS from biofouling of plastic could attract foraging seabirds.